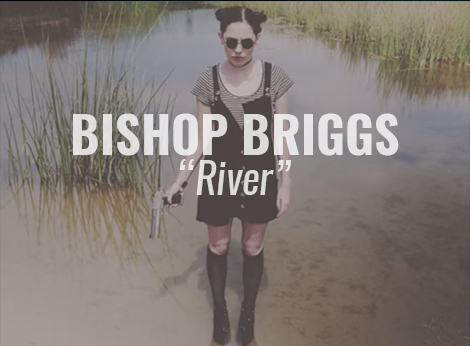 I’m still so hooked on this tune “River” from Bishop Briggs (formerly Bishop) since posting it at the beginning of the year. Directed by Jungle George, the video’s disjointed and abstract imagery “symbolizes the volatility of her emotions, changing from weak, torn, controlling and submissive in a moment’s notice”. You should know the tune, it reached #1 on Hype Machine’s Popular charts and #2 on Spotify’s Global Viral 50 shortly following its release, amassing over 5.1 million plays on Spotify. It has since been featured on FADER, Billboard and keeps on popping up on my monthly playlists. Take a look at the video for “River”.